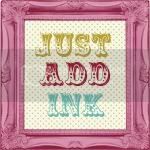 This week Bronwyn over at Just Add Ink has set a fun sketch challenge. Exciting to have a round sketch. Quite a few of the Design Team girls had made scallop circle and circle easel cards and as I had never made one I decided this week was the perfect time to give one a go. Cute or not??????!!!!!! 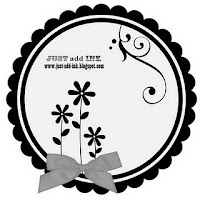 The colours - Regal Rose; So Saffron; Baja Breeze; Pear Pizzazz and chocolate Chip are from Stampin' Up! 's current Nursery Suite and I love them. I threw some Pumpkin Pie in there for extra fun. Here it is all closed up too. And here is the bottom part all stretched out. 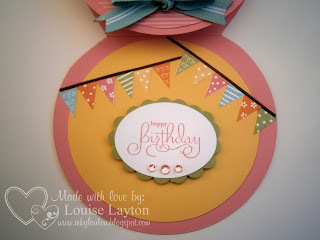 I love this card.... Well worth all the time it took to make........hope you love it too. Oh and by the way when I had a look at my previous post today of the card I made for my friend Ali and for JAIChallenge 69 I was horrified by the state of the photos of my card. It rained for days this week and I just couldn't get good photos but today is lovely and clear so I took the photos again. If you would like to see what that card really looks like minus horrid photography click HERE. LOVE it!! This card is beautiful - you've done a great job. 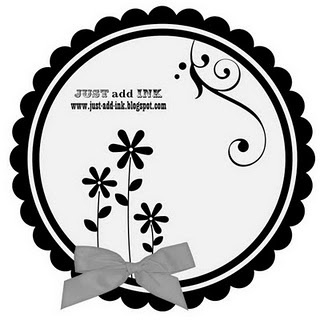 That will be so perfect for my gorgeous little niece's 1st birthday. Beautiful design. 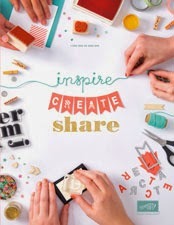 Super duper creatively talented!! Can't believe this is your first attempt at an easel card! It is fabulous. 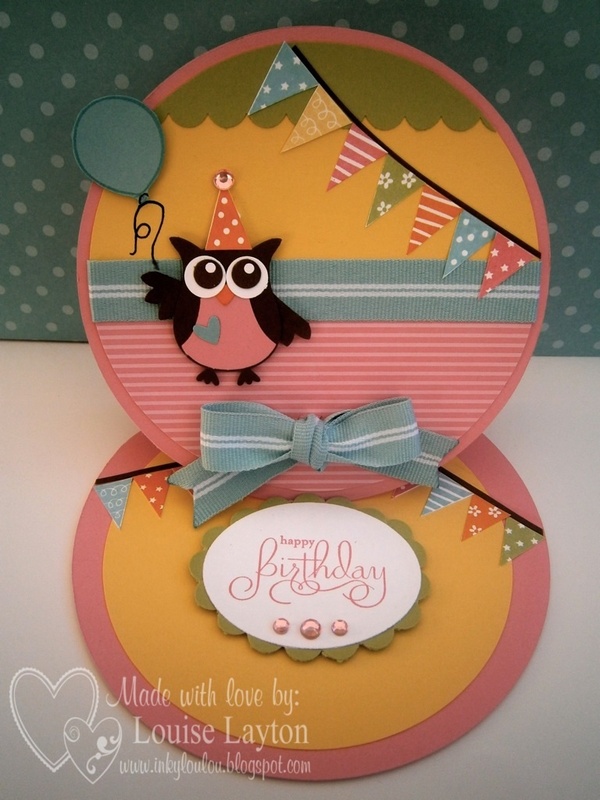 Love the cutie colours, and that you've used banners on the top and base of the card. It's adorable, Louise! this card is adorable, I love the owl, and the banners and the choice of colours, it looks great. This is super cute. I love the bright colours and the bunting. Love your card, can I come to the party? Love it to bits! 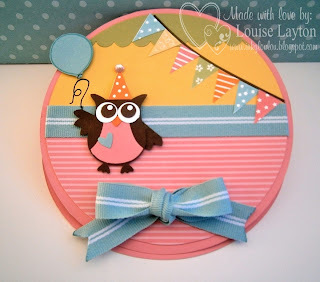 The owl, the bunting and the colours are perfect! Great job on this one Louise! What a great bright, cheery birthday card...just love it! Thanks for playing at JAI this week. very cute card, well done. Absolutely gorgeous Louise. Thanks for playing along at JAI this week. This is so adorable Louise! Just love the colours you have chosen too. Congrats on the top pick at JAI for this super cute card!! Oh this is soooo cute! Love it Louise. So bright and joyous! It was lovely meeting you at convention. Cannot wait for next year now LOL!